In this early year of 2011, Hannes von Döhren released Supria Sans™, an extended family of 36 fonts inspired by the Swiss type design. Its elegance yet sophisticated character could be ideal to solve complex design issues or professional typography. Appreciate and enjoy the Supria Sans™ project gallery on Behance! Supria Sans™ Regular and Regular Italic are free until February 28, 2011. But what else is free? :D You'll get the specimen posters for free if you decide to buy any weight of this type family! Here are some of my favorite Typography gallery websites, that speaks to their audience visually with series of typography design snapshots and use minimal words to satisfy your curiosity. The collection is growing bigger everyday for you to find inspiration. It's a new typography snapshots Tumblelog gallery authored by two designers: Francis Chouquet and Aurélien Foutoyet. The content presented on Beautiful Type is a patchwork of artistic typography related photos and illustrations from the Web. WLT publishes daily snaps typography design, which are applied on various range of media. It is a community bookmarking site for typography lovers and supported by ILT blog. When you're really like a post from WLT, you can tweet it with a unique hashtag provided for each post, or simply include WLT hashtag: #WLT to have your say! For you who are a big fan of stunning 3D typography designs or need to find some inspirations of digital graphic text effect, TypeInspire is a gallery that you'd probably like to visit. 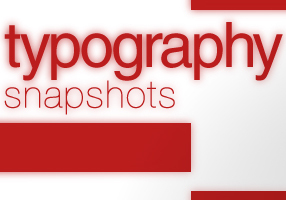 Browse the typography snapshots category using tag cloud found on the sidebar of this site. I got a (Prospect) Dribbble account yesterday and has been liking many number of dribbbled designs made by the amazing players over there. You like the StrongStuff posters? 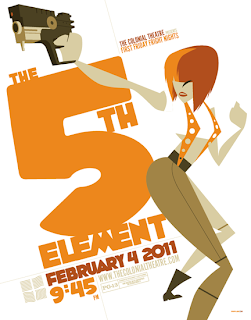 just follow Tom Whalen's tweets @strongstufftom to get fresh design updates via Twitter! Hill House was made over 10 years ago as a typeface based on the distinctive handwriting of Glasgow architect Charles Rennie Mackintosh (1868-1928). 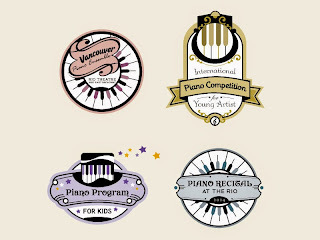 It is so often used for wedding invitations with a touch of Art Nouveau design style. The font set includes special glyphs for the words ‘to’, ‘at’ and ‘of’, and contains Mac, PC and Opentype formats. It is free to download. You can embed it for a web design project with Cufon or with @font-face. Another font embedding kits are also accessible on Typekit and Kernest.